This cheeky inflatable sheep is a stag party classic - waterproof and washable in case you get up to anything really naughty! 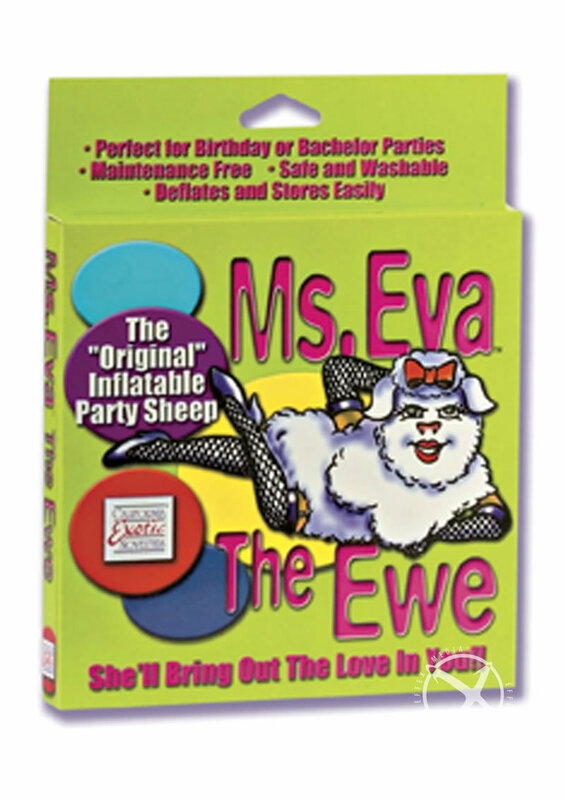 Ready for action in minutes, Ms. Eva The Ewe is the perfect cheeky gift sure to put a smile on everyone's face! Told my husband to bring Ms. Eva to his bachelolor party, cause stippers aren't allowed!!! He said they had a great time with the cheap. Heaven knows what they did to this poor animal. The fellas gave me Ms. Eve as a gag gift at my stag party and they forced me to take a test run right there and then. Actually this strange looking thing wasn't bad at all, it made be blast my nuts in just minutes in the bathroom. Perfect gag gift, and it gets you off too if you so desire.